Lock in a great price for Sofotel – rated 9.2 by recent guests! Well located. Helpful and friendly staff. Large room. I would stay here again. 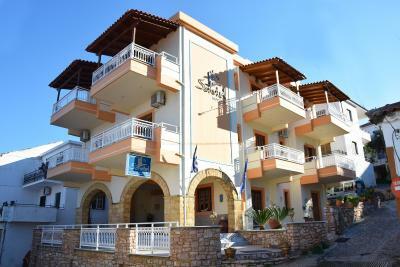 The hotel is very well situated in the lovely town of Koroni. A short stroll to the many seafront tavernas past interesting houses and excellent shops (like the wonderful Rachel's Bakery). Nikos and family run a beautifully clean hotel, with views from our balcony over the bay that make a return to Sofotel at the end of a day of beaches and castles and ancient sites a very great pleasure indeed. We loved it - and such good value for money too and with great parking! We got a room facing the sea, the balcony was lovely and it's a great asset in such a location. The room was very nice and clean. This was a very convenient location. Walking distance to the Limani (port) of Koroni where all the restaurants and shops were. The beautiful beach was across the road and the bus to Kalamata stoppped at the front of the hotel. The man at reception was a very helpful and welcoming person which we very much appreciated. 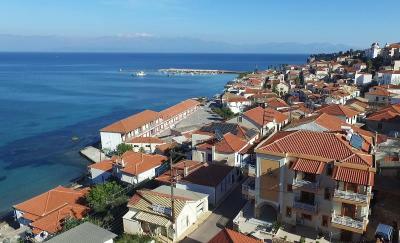 Koroni itself is beautiful and we'd liked to have stayed longer. The hotel is very clean and has parking and is in a good position. The room was huge, very spacious and incredibly clean. Great view towards the sea as well. Breakfast on the balcony with juice from fresh oranges. . The staff was realy service minded. Das Frühstück am Balkon unseres Zimmers war ein Erlebnis. 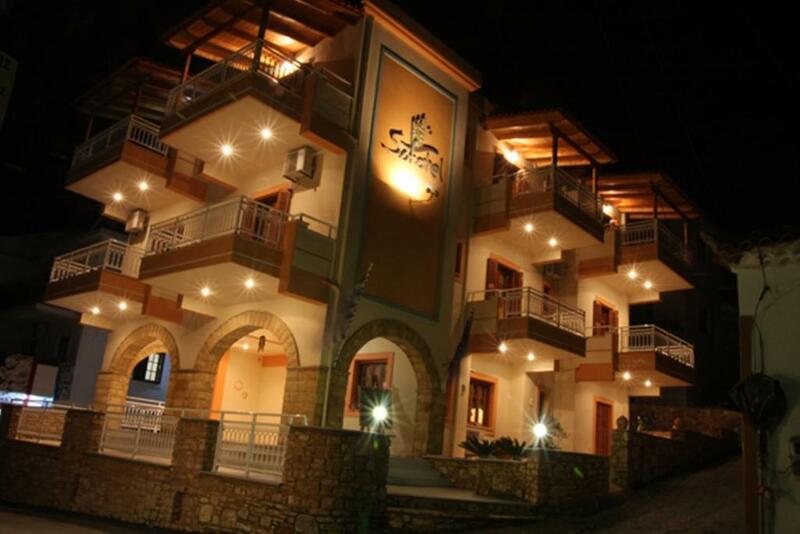 Sofotel is located in the seaside Koroni Town of Messinia, just 500 feet from the beach and within 650 feet from restaurants, bars and shops. It offers free Wi-Fi in all areas and air-conditioned rooms with a balcony overlooking the Messinian Gulf or the surrounding area. Fitted with tiled floors and dark-wooden furnishings, the rooms of Sofotel are equipped with a fridge, an electric kettle and a TV with satellite and cable channels. The private bathroom comes with a shower or bathtub and free toiletries. The seaside village of Foinikounta and its sandy beach lies within 11 mi from Sofotel, while Methoni Village with its famous castle is at 17 mi. The town of Kalamata is 32 mi away. Free private parking is possible on site. When would you like to stay at Sofotel? 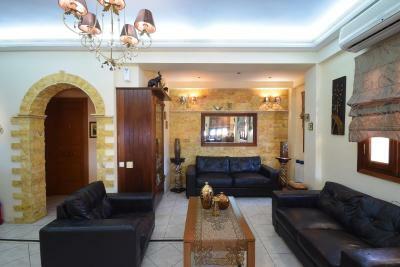 Air-conditioned room with a balcony overlooking the Messinian Gulf or the surrounding area. 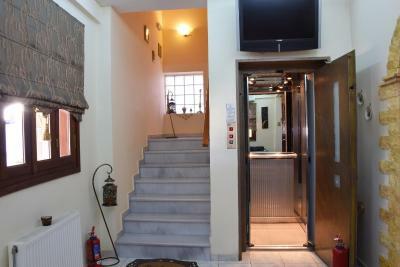 It is equipped with a fridge, an electric kettle and a TV with satellite and cable channels. Free Wi-Fi is available. 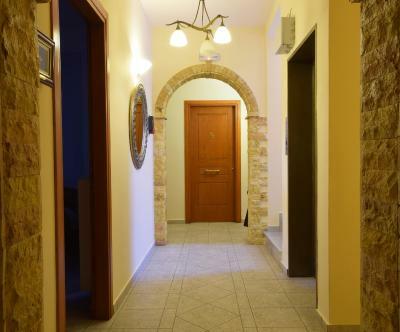 This single room features a view, soundproofing and air conditioning. House Rules Sofotel takes special requests – add in the next step! Sofotel accepts these cards and reserves the right to temporarily hold an amount prior to arrival. The view was excellent. The personnel is really nice - fantastic people! We have not tried the breakfast, we do this next time, as we are sure we will come back to Koroni and stay here, in that very hotel, again. By the way - we have experienced an 6.9 earthquake at 2 o'clock at night and no harm has been done to us and to the building! Only the lamp has been swinging for some time.. :-D I have been told that in Greece earthquakes are quite normal so most houses are built to resist even grade 8 earthquakes. In other words - in such earthquakeproof hotel for sure we will feel safe during our next stay :) What I really liked is that during cleaning my empty PET bottles (which were not in the bin) have been put together and put close to the bin, but not taken away. Which is GOOD, as these were german bottles (and sometimes I travel there), so there is a depot on it (and I really do not like the idea that someone else is judging what in the room is trash and what is not).. Another big PLUS for the staff! And something VERY important - air conditioning was working (could be turned on, tested) though it was the end of October (which is winter for Greeks). I have been to 5 star hotels in April (at 27C outside), where they were telling me it was not the season... So for sure - big positive here!!! Thanks and see you next time!!! Tired accommodation . Bill presented in sterling at poor rate of exchange--without it being pointed out! No facilities except the room. It was clean, but no atmosphere. The noise from the road outside. The kindness of the family. Other people have mentioned the friendliness of the owners and also breakfast and treats left in the rooms. We saw none of that. Not sure if the place has changed hands but we got nothing more than a hello when we arrived or departed.